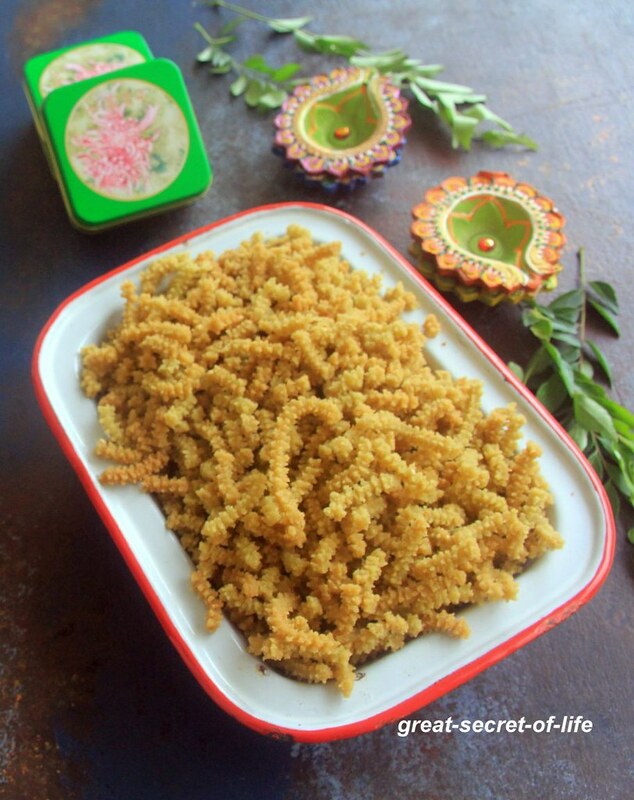 Anyone who doesn't like Chakli / Murukku esp butter murukku? I love to try different types of Murukku. / Chakli. My kids love it anytime. For this Diwali I wanted to try with either Mint or Curry leaves. I made with Curry Leaves. Loved the flavour. 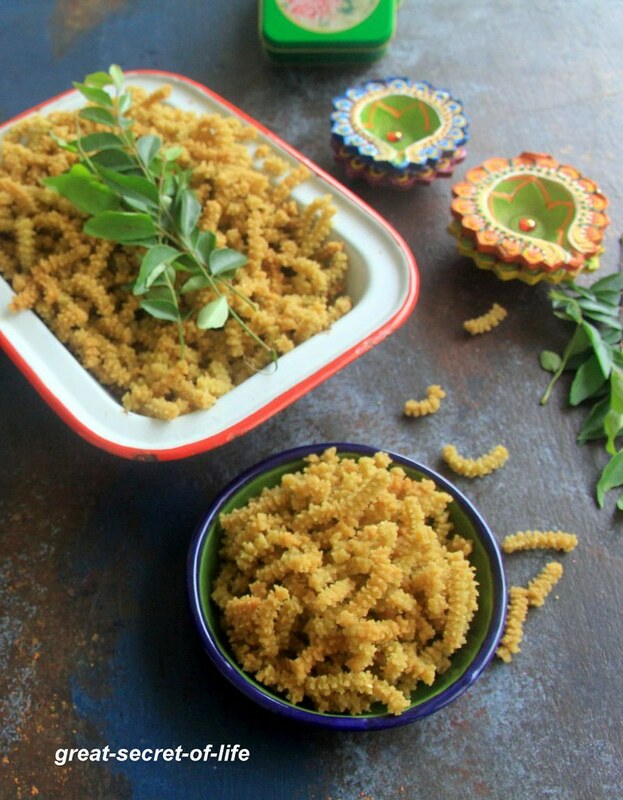 Kids who normally remove the curry leaves in any dish loved this one. It had very light green color too. 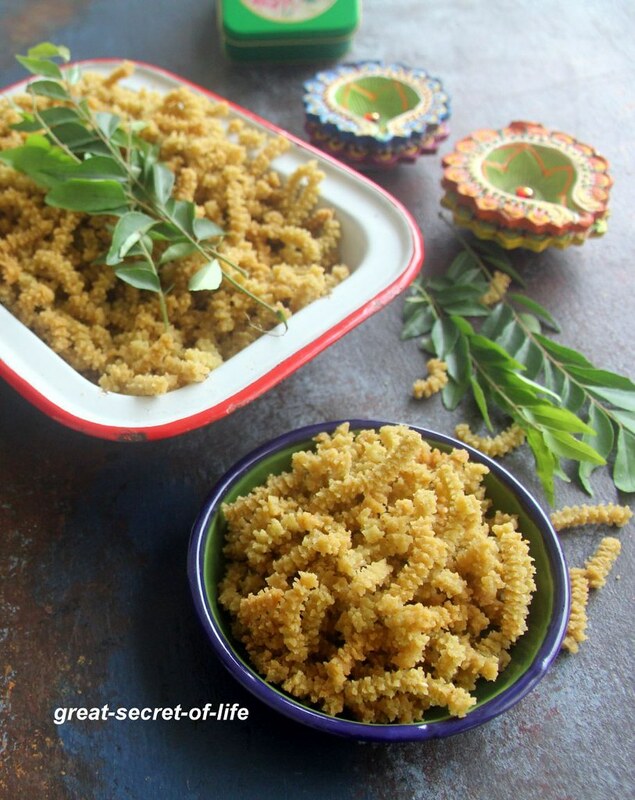 I have added roated gram (Pottukadalai podi) but you can replace it with roasted urad dal powder too. I have used idiyappam flour. Wash curry leaves and let it air dry. Roast curry leaves in microwave till crisp. Add roasted Curry leaves and grind it again. In a broader vessel take Iddiyappam flour, roasted gram dhal flour, butter, hing, roasted sesame seeds and salt. Add grinded paste Mix well. Add water and make it to a smooth dough.